Under a full moon a bonfire burned, in the middle of a ring of tents in an empty field. I could smell the open flame of the fire and the burning of marshmallows and the dusty night sky. The fire crackled and laughed and talked. 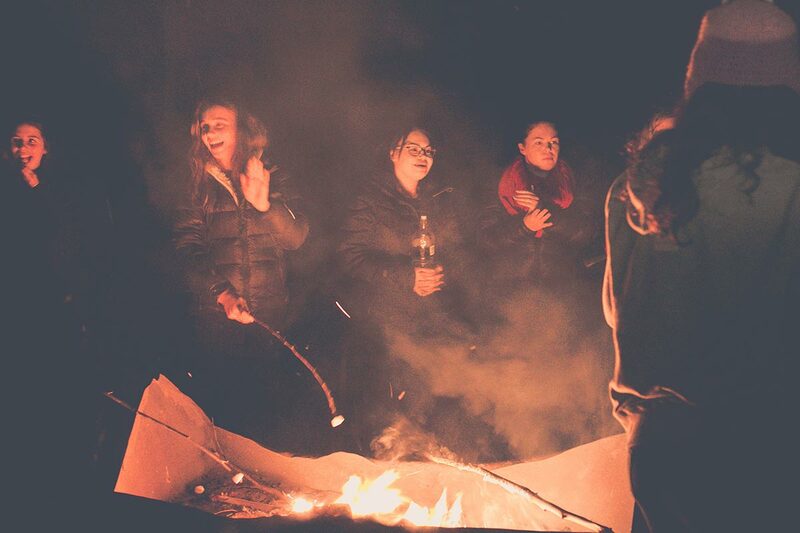 A few weeks ago, a bunch of girls from Wynyard High School organized a campout with other ladies from the community, women young and old, including teachers, musicians and storytellers. We came up with the idea and we all organized what was happening at each time, who was doing each job – getting wood for the fire, getting people settled in, setting up tents, washing up. We wanted to get together and bond and do something for Youth Week, after the Council asked us to run some events. Lots of other people like the Lions Club helped us out and the Scouts lent their tents. We had a bonfire, we chilled out, learned more about each other and who we are as people, we bonded as friends. Some of us went walking through the bush and needed to help each other through. At one point there was a kookaburra in the middle of the night, right when we were lying in the tent trying to fall asleep. Around the campfire, some of us sung and some played drums, some toasted marshmallows – the marshmallows were my highlight. Seeing everyone there, being happy, was the best. I was so happy it had all come together and that everyone could get along and enjoy themselves – especially after all the hard work we’d put into organizing it.